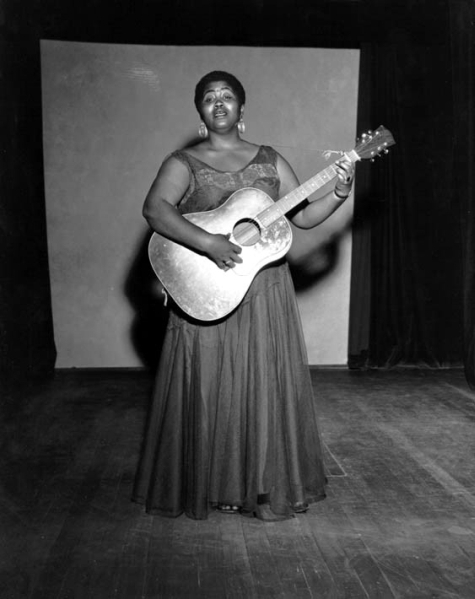 Odetta died in New York City on Tuesday. That big, rich, powerful voice will thrill us live no more. She was a mighty rod and an inspiration. She could turn simple words into an epic declaration of insufferable injustice and give us some spirit to fight it. She made me want to sing the big kind of folk music. May sweet Jesus ease her passage. Her like won’t be seen again. Thanks to If Charlie Parker was a Gunslinger, Ther’d Be A Whole Lot of Dead Copycats for the heads up and photo. Here’s a little poem left over from my mid-life crisis. Now that I’m up to my Medicare crisis I don’t need it any more. ..
and left his mother to carry on. and John Lennon was fixin to die. They met their rightful destiny. But what happens to the outlaws who go free? Whose sun-bleached hair grows grey? What happens to bad mothers who don’t get shot? when their time runs out and they’re still here? with slower draws than they had. looking into soft dead eyes forever in their dream. Red Cloud, Willa Cather…and Jack Kerouac. This is Red Cloud, Nebraska, the little praire town where novelist Willa Cather grew up, and where she set many of her best stories. In those days, at the turn of the twentieth century, Red Cloud was happening. A big railroad hub for the Burlington line, eight passenger trains a day disgorged easterners going west, westerners heading east, vaudeville troupes and professors, cowboys and clowns and Shakespearean actors ready to do two nights at the opera house. The town fed and housed them as they waited to change trains. A wide-awake kid could learn a lot about life here. Today, the railroad has gone away and Red Cloud supports three industries that I can see – a big feedlot on the edge of town which you can smell when the wind is right, a smallish grain elevator….and Willa Cather. She is the Colossus of Red Cloud, and the engine that lifted this little Nebraska town out of the ranks of hundreds and into eternity. I wonder what those 1890s townsfolk would have thought if they had known that little kid with the short hair and the eternal questions and the dramatic flair was going to write down (and transmute) their gossip, crimes, sins and love affairs and toothaches and gardens into stories so vivid and pure that those ordinary folks would be given a sort of immortality on this earth. Scholars were going to scour the town’s attics for their letters and journals – for any clue to help them understand how Willa changed them and rearranged them to create her immortal characters. Take Annie Pavelka, for instance. She was an unschooled Czech immigrant girl whose father killed himself out on the prairie one Christmas day. Her older brother decided they had to hire her out into town as a servant girl, and she went to work for the Miner family who lived on the next block over from the Cathers. Willa got to know Annie and they became friends when they were both teenagers. And Annie transmuted into Antonia of My Antonia. Which is, in my humble piggish opinion, the best novel you will ever read about the American pioneer experience and is probably the best novel ever written about anything. (hyperbole warning) And it’s about what happened to the kid on the next block over. Today the Willa Cather foundation owns the tiny Catholic Church where Annie’s “illegitimate” baby was baptized. The local Catholics moved to bigger quarters generations ago and the little church became somebody’s house for more generations. In the normal American course of things it would have been torn down forty years ago. But the church of St. Juliana Falconteri is Red Cloud gold. It’s one of the reasons this little lost prairie town with the feed lot hosts scholars from all over the world as they come to research at the Willa Cather archives. And why the Cather’s Retreat bed and breakfast on Seward Street is full most nights. Offhand, I can think of two other little nowhere towns that became somewhere towns because a novelist grew up there. First, Jack Kerouac’s Lowell, Massachusetts. Second, D.H. Lawrence’s Eastwood, Nottinghamshire. Kerouac’s work hovers out there somewhere all by himself, not quite memoirs, but not ordinary novels either. He has more in common with Walt Whitman than with Willa Cather. But his stories of Lowell in the Twenties and Thirties just nail that town. Lawrence’s Eastwood, though, is a pretty exact parallel. Used to be a coal mining town till the coal mines closed down. Now, I guess, it’s a suburb of Nottingham. When I was there in the Seventies it was depressed and still looked very much like Lawrence describes it in Sons and Lovers and a lot of other books. Like Cather’s, his babyhood home was owned by a foundation and set up to look like it must have looked in the 1890s. But the foundation was composed of local enthusiasts. To my knowledge, the international Lawrence scholar cartel took no interest. The folks digging in their gardens next door knew who Lawrence was but he affected their lives in no way. Here in Red Cloud, the folks really know who Cather is. The tour guides and the receptionists and the archive workers are all Red Cloud natives. As I noted above, the bed and breakfast here is in Willa’s parent’s home and is called Cather’s Retreat. The Foundation is preparing to restore and revitalize an entire block of the business district to expand space for their archives. The Opera House where Willa gave her high school oration is back in business, restored thanks to her largesse, and is again a cultural center for the town. Funny thing. Willa left Red Cloud to go to college and never lived here again. But she loved it and wrote about it and came back for visits up to 1930 when her parents died. Once she started making it as a writer – she sent money home. She always remained a member of Red Cloud’s Episcopal church, and when she heard through letters that folks were going through hard financial times, a mysterious check would arrive in the mail. And now, though Willa Cather has been dead since 1947 – she is still taking care of her hometown. We were camping on the banks of the Kankakee River and, after our little dinner of taco salad from Wendy’s because it was too wet to cook, we went for a walk. How fast summer comes on! Just last week I was wearing my Gore-tex against the cold and now I’m wearing it against the mosquitos. Patrushka was shooting and I was just pondering. In fact, I was so busy pondering that a beaver swam right by, took a bite of grass, and paddled on upstream. Never saw the old pig. I was looking at some piers of yellow, hand-dressed stone rising out of the misting river, all eroded, with little bushes and trees digging their roots in for the duration. The river was also digging away — at the upsteam side of the foundations. It has already carved little tooth cavities at the waterline of each pier. Two more piers stand on either bank. I could see they were clogged and strangled with vines like a Mayan ruin in Quintana Roo. The bridge they once held up must have washed away or torn been down years ago. Kinda gets a pig thinking. Each one of those stones was knocked into shape by a guy working hard all morning. Maybe all day. All that work, all that struggle and sweat to get those piers up across the river and now we don’t even know what the bridge was used for. Maybe some lady at the historical society knows. Was it a railroad bridge? Why did people way out here in the country want to cross the river so bad and what capitalist with what dreams of glory paid the navvys’ wages? What’s the point? That’s what it comes down to. I know, they got paid for their work and that’s what matters. But still, all that work and now no one knows or cares. Why not just live out in the marshes and croak like a bullfrog? When Patrushka starts feeling low she’ll wonder why she bothers to take all these photographs. They just go in a drawer. Just more stuff the kids will have to figure out what to do with when we’re gone. It is kind of depressing all right, but I tend to see the issue in another way. To me, these guys were dressing stones all day because they needed the money (of course), but maybe they enjoyed the work too. It was skilled labor, hard sweaty work with the other guys. Maybe they liked making those stones and maybe they got a kick out of seeing those piers going up in the river and knowing they were part of it. Patrushka takes pictures and my mother painted pictures because it gives or gave them joy in the moment they were seeing the idea of it, then executing it with crazy brushstrokes and color mixing and aperture checking, then fiddling around in the darkroom or on the easel until it looked the way they wanted it. I think of my Dad, Dwight Newton, the newspaper columnist. Certainly he had one of the world’s more trivial careers — if you take the galactic view. He wrote about television for the San Francisco Examiner every day including Sunday for 26 years (except he got to go on vacation – he was a union guy) and he had to get that damned column out no matter what and he reviewed every silly sitcom and corny western that came out each season and interviewed every flash in the pan, you never heard of him actor who starred for six episodes of Pigs On The Run before they cancelled it. He gave them all the same attention, the same focus, then he rushed back to the office to type type type exactly the right number of inches to fill his space in time for the first edition. I doupt if he ever groaned for a moment about all his columns gathering dust forever on library shelves and microfilm fiches because nobody remembers now who Tal Koolguy was or cares. Dad was having a great time and he had to get the column out and he took pride in getting the words just right. A nifty turn of phrase lightened his day considerable. Did Ernest Hemingway have a better time than my Dad? Did Georgia O’Keefe have more fun than my Mom? Greatness is a gift from God and it’s no good to strive for it. Maybe a time does come when you have to say I’m going to change my life around so I can do my art, my craft, my skill, the thing I love to do, all day every day so I’ll…what? For me, I’m just going to walk back to camp in the gloaming and sit by my tent and swat the mosquitos and wonder. Because that’s what I do – I’m the Pondering Pig.